Margaritas are a feel-good drink that remind you of warm days and good times. Across Michigan, you’ll find authentic Mexican restaurants serving up some of the most delicious margaritas around. Take a sip of a fiesta at the best places for margaritas in Michigan. A chain Mexican restaurant that's only found in Kalamazoo and Portage—which is really a suburb of Kalamzoo for those not familiar with Portage—Los Amigos scores high marks for its authentic Mexican fare. For those who came for the margaritas, meanwhile, you'll be likewise impressed by the range and options available. With lime, top shelf, and several flavors available, in four sizes from regular to pitcher, you'll have plenty to like here. Try the Amigo Grande, served with two upside-down Coronitas in your favorite flavor. Battle Creek's La Cocina Mexicana has become renowned for its margaritas with the locals, and with good reason. Three basics start it off—lime, mango and strawberry—but carry on from there into a range of specialty margaritas from the Green Iguana to the Golden Margarita. The house special, the La Cocina Rita stars with margarita mix and orange juice then adds one of six premium tequilas to round it out. Oh, and while you're there, try the food—there are plenty of delicious options. At Los Tres Amigos, house margaritas are served daily from three in the afternoon until closing time as part of a happy hour. The namesake Margarita Tres Amigos boasts Sauza Giro, sour mix and triple sec, and that's just for starters. The Paloma boasts grapefruit soda in its making, and the Michelada involves clamato and tabasco sauce. Point yourself toward Jackson to get in on Chilango's, home of the Margarita Tower. Essentially a stationary pitcher with a tap, geared toward two people, the Margarita Tower holds one big pile of margarita that can be dispensed as needed for $16. 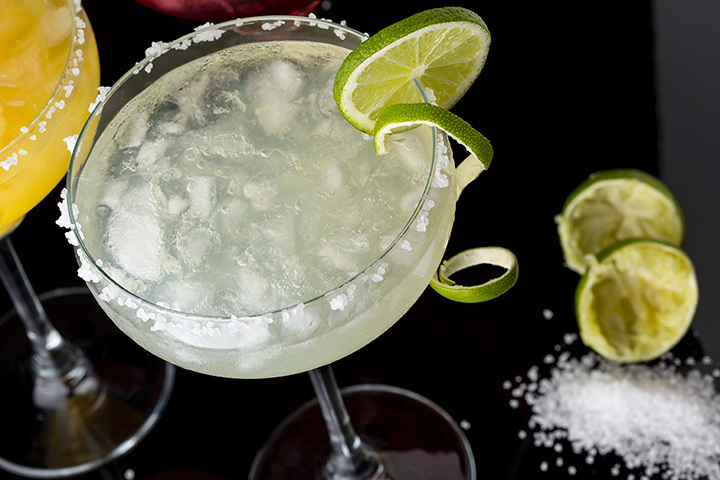 With 200 tequilas involved, at last report, you'll be able to get your margarita your way. It's not just margaritas here, though, as you'll also be able to get in on a wide range of food options besides. Lindo Mexico is home to National Margarita Day: The Margarita Flight. A flight, for those not familiar, is essentially a small-plates concept for drinks, often beers, but adaptable to most any beverage. Small servings of different flavors are available, and Lindo Mexico puts that to work with the margarita. At one point, there was a chili mango margarita on hand, which demonstrates that Lindo Mexico is comfortable with trying new things and bringing together unusual flavors. Ann Arbor's Frita Batidos is one of those go-big-or-go-home sort of affairs, as evidenced by the Frita Margarita. By itself, it's basically an ordinary margarita. However, for those willing to drop $28, you can have the fishbowl version. This is a Frita Margarita served in an actual fishbowl. It's designed to serve six, so bring some friends along, and even then you may want to have an Uber on standby. For those who want some food on their stomach before tackling it, don't worry; Frita Batidos will have you covered with a full menu as well. Traverse City's Red Mesa Grill makes an excellent choice for a margarita for three simple reasons. One, the margaritas are inexpensive, particularly on Tuesdays. Every Tuesday, Casa Margaritas are just $3 each, and those who want a premium margarita, meanwhile, get $2 off. Great start, of course, but the tequila on hand here is a whole other matter; Red Mesa Grill is home to over 180 different kinds of tequila, and more being added routinely. With locations in both Saginaw and Bay City, Coco Loco will offer up a full range of Mexican options for those looking to try something in this vein. It recently celebrated National Margarita Day, meanwhile, by offering up half off on all house margaritas, which shows this is one place dedicated to the concept. It's also a recent recommendation from MLive readers, which gives it that extra shot of credibility.